My CBX Pro-link chopper is raked with 6 inch over forks (so the engine sits level as it did originally). I am tempted to extend the forks further (maybe up to another 8 inches) without raking the frame anymore as I fancy the front higher. My question is, how critical is the level of the engine on a CBX - am I safe to lift the front end? 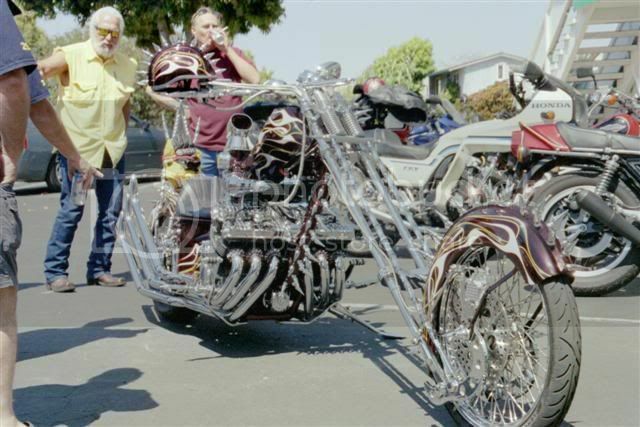 The only other chopper style X I've seen had his motor sitting pretty level and raked the head to extend the front end instead of raising it, must have been 17' long! But George apparently has it figured out with this creation and BMWs new six is also canted quite forward.